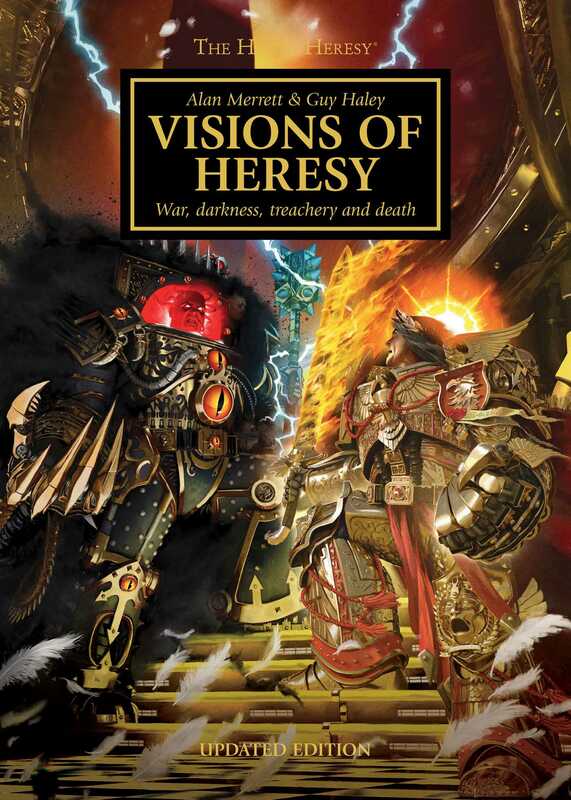 The revised and updated edition of the complete history of the Horus Heresy, from the very beginning to the epoch-defining Siege of Terra. With over 100 pages of new content this fully revised and updated edition contains incredible new art, including a truly awe inspiring cover from Neil Roberts, and offers an even more comprehensive and detailed account of the war between Horus and the Emperor, written by series author Guy Haley,. Witness the end of an era and the beginning of something far darker, as the Heresy continues to unfold. This coffee table style book is the ultimate companion to the New York Times bestselling series, The Horus Heresy. A must have! New York Times Best Selling Series. Visions of war, visions of darkness, of treachery and death – all of this and more is contained within this heretical volume. Iconic depictions of the Space Marine Legions and the heroes that commanded them are presented alongside artwork from renowned artist Neil Robert, as well as historical notes on the Warhammer 40,000 universe by Alan Merrett. The ultimate companion to the New York Times bestselling series. This revised and updated edition contains incredible new art and offers an even more comprehensive account of the war between Horus and the Emperor, written by series author Guy Haley, and takes the narrative of the saga right up to the epoch-defining Siege of Terra in greater detail than ever before. Witness the end of an era and the beginning of something far darker, as the Heresy continues to unfold.